The Clipper features a shell constructed of windproof/water resistant medium-weight 100% Toughlan® nylon, and 9 oz. 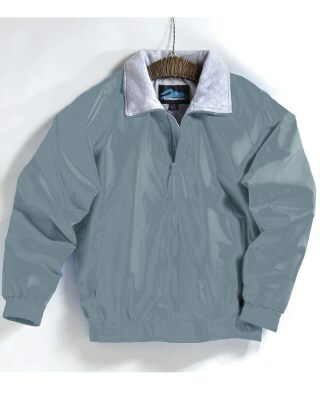 heavyweight cotton/polyester/rayon gray jersey lining. Two exterior pockets with zippers and one inner right chest pocket with zipper. Raglan sleeves. Elastic waistband and cuffs.